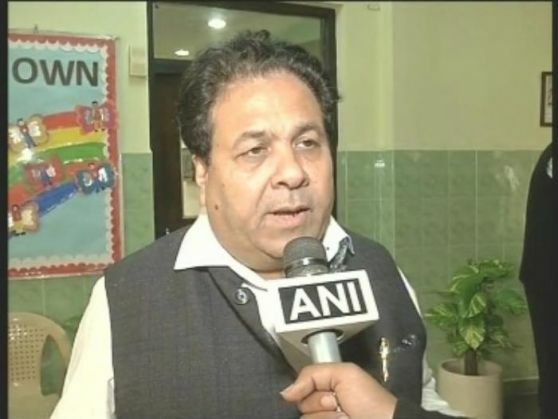 Indian Premier League (IPL) chairman Rajeev Shukla on Saturday categorically said that the resumption of the stalled bilateral cricket series against Pakistan will only take place if they get clearance from the Indian government. "Pakistan government has given permission for the cricket series and we have sought permission from our government. If the government permits us to play then only we will play, otherwise not. We will go with whatever they say," senior BCCI official Shukla told ANI. Shukla further urged that the game of cricket should be kept apart from political confrontation and raised questions over one-sided clamor towards cricket when other sports like Hockey can be played with the sub-continent rivals. Shukla's comments came after Shiv Sena launched a full-fledged attack on the BCCI for going ahead with the bilateral series, saying that it was an event being conducted to honour terrorist Ajmal Kasab and his team for the horrific 26/11 Mumbai terror attacks. Earlier, Shukla had said that India will tentatively play against Pakistan in the neutrally decided venue Sri Lanka from December 15. The venue for the proposed bilateral series was decided after the top officials of India and Pakistan's cricket board met at headquarters of the International Cricket Council in Dubai on last Sunday. The last time the two nations played was in 2012-13 when Pakistan visited India for a three-match One Day International (ODI) and two-match Twenty20 series. According to a memorandum of understanding signed between the PCB and BCCI, both countries are scheduled to play six series between 2015 and 2023 after a clearance from the India n Government.